The holiday season has come and gone and, with the New Year, I wish everyone the best. While many received great tidings, AMSAT’s long-awaited Fox-1Cliff/AO-95 launch and commissioning was not so great. On December 3, 2018, Fox-1Cliff was launched on a Falcon 9 vehicle from Vandenberg Air Force Base in California. Part of Spaceflight’s SSO-A: SmallSat Express launch, Fox-1Cliff was named after longtime AMSAT supporter Cliff Buttschardt, K7RR (SK). In the 48 hours after launch, more than 110 amateur radio operators around the world successfully received and submitted telemetry from the satellite. AMSAT Engineering began the commissioning process, with the help of AMSAT Operations, on Tuesday, December 4. Satellite telemetry indicated that the bird is healthy, and many stations have captured and relayed the telemetry that enabled AMSAT to monitor and determine the health of the various systems on board. Fox-1Cliff required an extended period monitoring battery and power levels due to the anomaly and fix that was applied back in February of 2016 during the environmental testing, and the result of that was positive. However, later in the process, AMSAT discovered an anomaly with th satellite’s receive capability. After a few days of tests, analysis, and discussion, it appears that Fox- 1Cliff/AO-95 will not be commissioned as the fourth Fox-1 amateur radio satellite. AMSAT continues to evaluate and test Fox-1Cliff/AO-95 for solutions to the anomaly and any continued help in providing telemetry is much appreciated so that we can have data throughout the daily orbits rather than limited data over U.S. stations. 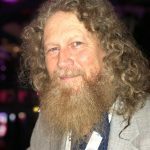 The data, analysis, and testing could lead to a positive solution but at the very least will be important to AMSAT’s satellite programs in providing information that would help us and others, as we do freely share our successes and failures, to avoid similar situations with future missions. The SSO-A mission carried several additional amateur radio satellites, including AMSAT-UK’s FUNcube on ESEO, JY1-SAT, K2SAT, and ExseedSat. Our Golden Jubilee at the 2019 HamVention and the Symposium will include a 1969 theme and an “OSCAR Park” display. The tentative lineup for the park are appearances by OSCAR-1, AO-7, Phase-3A, ARISSat, Fox, and GOLF. Also tentative, on Thursday, May 16, an AMSAT Academy program is being developed for new satellite operators and is scheduled to be held at the Dayton Amateur Radio Association’s Clubhouse. Please make your plans now to attend Hamvention at the Greene County Fairgrounds in Xenia, OH, on May 17-19, 2019. Our 50th Anniversary Symposium for 2019 will be held October 18-20 at the Arlington Hilton in Arlington Virginia. Hilton Arlington is located in the heart of the Ballston neighborhood of Arlington, VA. Connected to the Ballston Metro Station, the hotel offers easy and effortless access to Washington DC’s top tourist destinations like the National Mall, Smithsonian Museums and historical monuments. The hotel is six miles from Reagan National Airport and the National Mall. The AMSAT Board of Directors meetings will be held on October 16-17 at the same hotel. The current plan for tours of the Washington DC/Baltimore area will be on Sunday and Monday, October 20 and 21. The Banquet speakers will celebrate AMSAT long history, so please plan on attending the 50th Anniversary Symposium; you will be glad you did. A final item is funding. AMSAT operates at a loss. The past few years, the investments AMSAT has made in our stock portfolio have garnered returns that have kept the daily operating expenses paid. With the fluctuation of the stock market and given that the funds are needed for operations, our returns have not been reinvested to our reserves. These reserves are also used for project funding (building and launching satellites) with the expectation that fundraising will “pay back” the reserve. This is not occurring. ARISS is in the middle of a major fundraising campaign to get the new radios to the ISS. Tell your friends, have them join our organization or at least donate to ARISS and AMSAT. Fair warning, look for more fundraising ideas on the horizon. 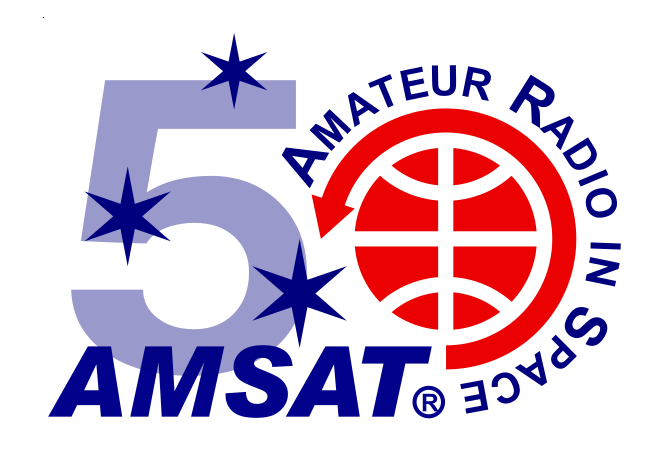 I hope you will all participate on the airwaves with the AMSAT 50th Anniversary Awards Program. I encourage you to do your part, whether that’s operating the satellites, giving AMSAT or ARISS support, or bringing dollars or new members to our organization.